The article “Stock Broking – SEBI Entities” provides the different terms related to SEBI along with the key details of Stock Broking Using SEBI Entities and Stockbrokers. With the help of the article Stock Broking – SEBI Entities is very useful for aspirants can answer the questions related to Stock Broking and Stock Brokers. A Stockbroker is a professional individual who executes buy and sell orders on behalf of clients for stocks and other securities in a listed market or over the counter, usually for a fee or commission. Stockbrokers are usually associated with a brokerage firm and handle transactions for retail and institutional customers alike. Brokerage firms and broker-dealers are also some times referred to as stockbrokers themselves. Simply, “stock broker” means a person having trading rights in any recognized stock exchange and includes a trading member. One can confirm it by verifying the registration certificate issued by SEBI. A broker’s registration number begins with the letters “INB” and that of a sub broker with the letters “INS”. For the brokers of derivatives segment, the registration number begins with the letters “INF”. There is no sub-broker in the derivatives segment. Provided that no separate registration shall be required for a clearing member registered with the Board to act as a stock broker in a stock exchange of which he is admitted as a member, subject to grant of approval by the concerned stock exchange. For the purpose of this sub-regulation, it is clarified that no separate registration shall be required for a stock broker registered with the Board to operate in more than one stock exchange, of which he is admitted as a member, subject to grant of approval by the concerned stock exchange. An application for grant of a certificate of registration as a stock broker shall be submitted to the Board in Form A of Schedule I through the stock exchange of which he is admitted as a member. The stock exchange shall forward the application form to the Board as early as possible, but not later than thirty days from the date of its receipt. The Board may require the applicant, or the concerned stock exchange, to furnish further information or clarifications, regarding the trading, settling or dealing in securities and matter connected thereto, to consider the application for grant of a certificate. The applicant or, its principal officer shall, if so required, appear before the Board for personal representation. h. The applicant satisfies the minimum net worth and deposit requirements as specified in Schedule VI, for the segment for which membership or approval is sought. The Board may, after consideration of the application under regulation 3 and on being satisfied that the applicanthas complied with the conditions laid down in regulation 5 grant a certificate of registration in Form D to the stock-broker, and send intimation to that effect to the stock exchange(s) of which it is a member. Where an application under regulation 3, does not fulfill the requirements mentioned in regulation 5, the Board may reject the application after giving a reasonable opportunity of being heard. The refusal to grant the registration certificate shall be communicated by the Board within thirty days of such refusal to the applicant and to the concerned stock exchange stating there in the grounds on which the application has been rejected. An applicant whose application has been rejected by the Board under sub-regulation (2), may apply within a period of thirty days from the date of receipt of such intimation, to the board for reconsideration of its decision. The Board shall reconsider an application made under sub-regulation (3) and communicate its decision as soon as possible in writing to the applicant and to the concerned stock exchange. A depository institution provides financial services to personal and business customers. Deposits in the institution include securities such as stocks or bonds. The institution holds the securities in electronic form also known as a book-entry form, or in dematerialized or paper format such as a physical certificate. Transferring the ownership of shares from one investor’s account to another investor’s account when a trade is executed is one of the primary functions of a depository. This helps reduce the paperwork for executing a trade and speeds up the transfer process. Another function of a depository is it eliminates the risk of holding the securities in physical form such as theft, loss, fraud, damage or delay in deliveries. Depository services also include checking and savings accounts, and the transfer of funds and electronic payments through online banking or debit cards. Customers give their money to a financial an institution with the belief the company holds it and gives it back when the customer requests the money. An investor who wants to purchase precious metals can purchase it in physical bullion form or paper form. Gold or silver bars or coins can be purchased from a reputable dealer and kept with a third- party depository. Investing in gold through futures contracts are not equivalent to the investor owning gold. Instead, gold is owed to the investor. A trader or hedger looking to take actual delivery on a futures contract must first establish a long (buy) futures position and wait until a short (seller) tenders a notice to delivery. With gold futures contracts, the seller is committing to deliver gold to the buyer at the contract expiry date. The seller must have the metal, in this case, gold, in an approved depository. Depository is a place where financial securities are held in dematerialised form. Depository Participant (DP) is described as an Agent (law) of the depository. It is responsible for maintenance of ownership records and facilitation of trading in dematerialized securities. It is the intermediaries between the depository and the investors. The relationship between the DPs and the depository is governed by an agreement made between them two under the Depositories Act. In a strictly legal sense, a DP is an entity who is registered as such with SEBI under the subsection 1A of Section 12 of the SEBI Act. Registrar or transfer agents are the trusts or institutions that register and maintain detailed records of the transactions of investors for the convenience of mutual fund houses. Investors transactions like buying, exchanges, processing of mails and related information, changes inpersonal data, etc occur frequently and have to be recorded. Registrar & transfer agents have skilled expertise for maintenance of such data on a professional basis, there by contributing to saving costs and time involved in keeping detailed accurate records of the investor transactions. Their role also extends to providing information to the investors about new offers, maturity dates and all other investor-friendly information at one place for their reference. Some of the RTA operating in India are Computer Age Management Services (CAMS), Karvy, and Deutsche Investor Services, among others. A merchant bank is a company that deals mostly in international finance, business loans for companies and underwriting. These banks are experts in international trade, which makes them specialists in dealing with multinational corporations. A merchant bank may perform some of the same services as an investment bank, but it does not provide regular banking services to the general public. The word merchant bank does not have a fixed definition as this term is used differently in different countries. In the United States these are called as “Investment Banks” and in the UK they are called as “accepting and issuing houses”. The notification of Ministry Of Finance in India defines Merchant Banker as “any person who is engaged in the business of issue management either by making arrangements regarding selling, buying, or subscribing to the securities as manager, consultant, adviser in relation to such an issue management”. In general the merchant banks are the financial institution which provides financial services, solutions, & advice to corporate houses. Some of the world famous merchant banks are Goldman Sachs, Credit Suisse & Morgan Stanley etc. In India there are many banks which are into the field of merchant banking some of the banks are ICICI, State Bank Of India, Punjab National Bank etc. This service deals with issuing equity shares, preference shares, and debentures that acts as a partner for a high net-worth client by issuing shares and debentures to the general public. It is a service where a merchant bank invests in different kinds of financial instruments on behalf of clients as well as manages the whole investment. Project counselling also involves filling up application forms and trying to fund projects through banks or financial institutions. In this case the bank provides term loans for the projects that need money. 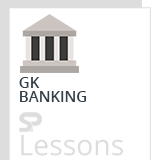 This is one of the main services offered by merchant bankers. It is a guarantee that states that if the subscription is below a specified level, then the merchant banker has to subscribe to the said amount. Merchant banking activity was officially commenced into the Indian capital Markets when Grindlays bank received the license from reserve bank in 1967. Grindlays started its operations with management of capital issues, recognized the requirements of upcoming class of Entrepreneurs for diverse financial services ranging from production planning and system design to market research. Apart from this, it also provides management consulting services to meet the Requirements of small and medium sector rather than large sector. Citibank Setup its merchant banking division in India in 1970. Indian banks Started banking Services from 1972. State bank of India started the merchant banking division in 1972. Goldman Sachs (India) Securities Pvt. Ltd.
Citigroup Global Markets India Pvt. Ltd. The Merchant Bank got more importance in the year 1983 when there was a huge boom in the primary market where the companies were going for new issue. Merchant banking activities are organized and undertaken in several forms. Commercial banks and foreign development finance institutions have organized them through formation divisions, nationalized banks have formed subsidiary companies, share brokers and consultancies constituted themselves into public limited companies or registered themselves as private limited Companies. Some merchant banking companies have entered into collaboration with merchant bankers of foreign countries abroad with several branches. Merchant banking helps clients raise funds by issuing shares, debentures and bank loans. This helps clients raise funds both in the domestic as well as the international market. Any business requires Government permission for starting a project. Companies also require permission for expansion or modernization activities. Merchant banks do all this for their clients. The merchant bankers act as brokers of a stock exchange. These brokers buy and sell shares on behalf of their clients. The banks have executives who advise their customers on the expansion and modernization of businesses. They give expert advice on mergers, acquisitions, and takeovers. Merchant bankers advise and manage public issues of companies. Merchant banks offer many services to public sector units and public utilities. They help in raising long term capital, marketing of securities and foreign collaboration and also managing long term finance. Merchant banks advice small companies on business opportunities, government benefits, incentives and policies. Merchant bankers help their clients in the management of interest on debentures and dividends on shares. They also provide expert advice to the client on the rate of dividend and timing. Merchant bankers deal with short term money market instruments like commercial paper issued by large corporate firms, government bonds, and treasury bills issued by the RBI and so on. Merchant bankers also help in leasing services where the lessor allows the use of specific assets to the lessee for a certain period on behalf of rentals or fees. What is meant by Custodian? A custodian is a financial institution that holds customers securities for safekeeping so as to minimize the risk of their theft or loss. A custodian holds securities and other assets in electronic or physical form. Since they are responsible for the safety of assets and securities that may be worth hundreds of millions or even billions of dollars,custodians generally tend to be large and reputable firms. A custodian is sometimes referred to as a custodian bank. A debenture is an instrument of debt executed by the company acknowledging its obligation to repay the sum at a specified rate and also carrying an interest. It is one of the methods of raising the loan capital of the company. A debenture is thus like a certificate of the loan or a loan bond evidencing the fact that the company is liable to pay a specified amount with interest and although the money raised by the debentures becomes a part of the company’s capital structure, it does not become share capital. Debenture Trustee: A debenture trustee means a trustee of a trust deed for securing any issue of debentures of a body corporate. To act as debenture trustee, the entity should either be a scheduled bank carrying on commercial activity, a public financial institution, an insurance company, or a body corporate. The entity should be registered with SEBI to act as a debenture trustee. Call for periodical reports from the body corporate, i.e., issuer of debentures. Take possession of trust property in accordance with the provisions of the trust deed. Enforce security in the interest of the debenture holders. Ensure on a continuous basis that the property charged to the debenture is available and adequate at all times to discharge the interest and principal amount payable in respect of the debentures and that such property is free from any other encumbrances except those which are specifically agreed with the debenture trustee. Exercise due diligence to ensure compliance by the body corporate with the provisions ofthe Companies Act, the listing agreement of the stock exchange or the trust deed. To take appropriate measures for protecting the interest of the debenture holders as soon as any breach of the trust deed or law comes to his notice. To ascertain that the debentures have been converted or redeemed in accordance with the provisions and conditions under which they are offered to the debenture holders. Inform the Board immediately of any breach of trust deed or provision of any law. a. Appoint a nominee director on the board of the body corporate when required. In India, the issuer pays to the Debenture Trustee. In India, Debenture Trustees are regulated by SEBI. The SEBI (Debenture Trustees) Regulations, 1993 govern the Debenture Trustees and provide for eligibility criteria for registration of Debenture Trustees, monitoring and review, registration, Code of Conduct, the procedure of action in case of defaults, avoidance of conflict of interest and inspection of Debenture Trustees by SEBI, amongst other things. Public issues and issues proposed to be listed are covered under the said regulations. A credit agency is a for-profit company that collects information about individuals and businesses debts and assigns a numerical value called a credit score that indicates the borrower’s credit worthiness. Creditors and lenders, such as credit cardcompanies and banks, report theircustomers borrowing activity and history to credit agencies. Individuals and businesses can obtain copies of the information reported about them by contacting the credit agency or a related third-party company, and paying a nominal fee. A credit rating is an assessment of the credit worthiness of a borrower in general terms or with respect to a particular debt or financial obligation. A credit rating can be assigned to any entity that seeks to borrow money — an individual, corporation, state or provincial authority, or sovereign government. Credit assessment and evaluation for companies and governments is generally done by a credit rating agency such as Standard & Poor’s (S&P) , Moody’s, or Fitch. These rating agencies are paid by the entity that is seeking a credit rating> for itself or for one of its debt issues. What is menat by AIF? Alternative Investment Fund or AIF means any fund established or incorporated in India which is a privately pooled investment vehicle which collects funds from sophisticated investors, whether Indian or foreign, for investing it in accordance with a defined investment policy for the benefit of its investors. AIF does not include funds covered under the SEBI (Mutual Funds) Regulations, 1996, SEBI (Collective Investment Schemes) Regulations, 1999 or any other regulations of the Board to regulate fund management activities. Further, certain exemptions from registration are provided under the AIF Regulations to family trusts set up for the benefit of relatives as defined under Companies Act, 1956, employee welfare trusts or gratuity trusts set up for the benefit of employees, holding companieswithin the meaning of Section 4 of the Companies Act, 1956 etc. AIFs which invest in start-up or early stage ventures or social ventures or SMEs or infrastructure or other sectors or areas which the government orregulators consider as socially or economically desirable and shall include venture capital funds, SME Funds, social venture funds, infrastructure funds and such other Alternative Investment Funds as may be specified. AIFs which do not fall in Category I and III and which do not undertake leverage or borrowing other than to meet day-to-day operational requirements and as permitted in the SEBI (Alternative Investment Funds) Regulations, 2012. Various types of funds such as real estate funds, private equity funds (PE funds) , funds for distressed assets, etc. are registered as Category II AIFs. AIFs which employ diverse or complex trading strategies and may employ leverage including through investment in listed or unlisted derivatives Various types of funds such as hedge funds, PIPE Funds, etc. are registered as Category III AIFs. Angel fund is a sub-category of Venture Capital Fund under Category I Alternative Investment Fund that raises funds from angel investors and invests in accordance with the provisions of Chapter III-A of AIF Regulations. In case of an angel fund, it shall only raise funds by way of issue of units to angel investors. an AIF registered under these regulations or a VCF registered under the SEBI (Venture Capital Funds) Regulations, 1996. Angel funds shall accept, up to a maximum period of 3 years , an investment of not less than 25 lakh from an angel investor. Debt fund is an Alternative Investment Fund (AIF) which invests primarily in debt or debt securities of listed or unlisted investee companies according to the stated objectives of the Fund. These funds are registered under Category II. In this regard, it is clarified that, since Alternative Investment Fund is a privately pooled investment vehicle , the amount contributed by the investors shall not be utilised for purpose of giving loans. Fund of Funds , in general parlance as gathered from publicly available sources as an investment strategy of holding a portfolio of other investment funds rather than investing directly in stocks , bonds or other securities. In the context of AIFs , a Fund of Fund is an AIF which invest in another AIF. Sponsor is any person(s) who set up the AIF and includes promoter in case of a company and designated partner in case of a limited liability partnership . Bankers to the issue, as the name suggests, carries out all the activities of ensuring that the funds are collected and transferred to the Escrow accounts. The Lead Merchant Banker shall ensure that Bankers to the Issue are appointed in all the mandatory collection centers as specified in DIP (Disclosure and Investment Protection) Guidelines 2000 . The LM also ensures follow- up with bankers to the issue to get quick estimates of collection and advising the issuer about closure of the issue, based on the correct figures. payment of dividend or interest warrants. Investment advice is an advice relating to investing in, purchasing, selling or otherwise dealing in securities or investment products, and advice on investment portfolio containing securities or investment products, whether written, oral or through any other means of communication for the benefit of the client and shall include financial planning. Provided that the investment advice given through newspaper, magazines, any electronic or broadcasting or telecommunications medium, which is widely available to the public shall not be considered as investment advice for the purpose of IA regulations. However, investment advisers who make public appearance or make recommendations or offer an opinion concerning securities or public offers through public media while making recommendations through public media, are required to comply with the relevant provisions of SEBI (Research Analysts) Regulations , 2014.